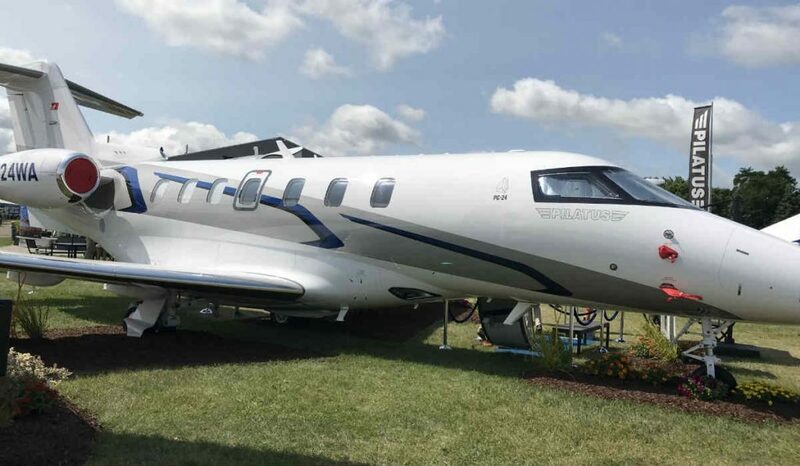 Organizers of the annual EAA AirVenture Oshkosh event reported statistics from its 2018 event, which ran from July 23 to 29 at Wittman Regional Airport in Oshkosh, Wisconsin. The group also announced winners of the 2018 Lindy Awards, which includes five Canadian entries. More than 10,000 aircraft arrived at Wittman Regional and other airports in east-central Wisconsin. At Wittman alone, there were 19,588 aircraft operations in the 11-day period from July 20 to 30, which is an average of approximately 134 takeoffs/landings per hour. There were 2,979 showplanes at Oshkosh 2018, representing the second straight year of having more than 2,900 such aircraft on display: 1,160 homebuilt aircraft (5 per cent increase), 1,094 vintage airplanes, 377 warbirds (7 per cent increase), 185 ultralights and light-sport aircraft, 75 seaplanes, 22 rotorcraft, 52 aerobatic aircraft, and 14 hot air balloons. More than 12,300 sites in aircraft and drive-in camping accounted for an estimated 40,000 visitors. There were 867 commercial exhibitors and a total of 1,500 educational sessions attended by more than 75,000 people. A record 2,714 visitors registered from 87 nations (actual counts may be higher since international visitor registration is voluntary), as well as 976 media representatives from six continents. Top countries represented by registered visitors include: Canada (538 visitors), Australia (386) and South Africa (277). Based on a 2017 University of Wisconsin study of Oshkosh, organizers estimate an economic impact of US$170 million for the five counties in the region (Winnebago, Outagamie, Fond du Lac, Calumet, and Brown). Named after legendary aviator Charles Lindbergh, the Lindy Awards are given out to what AirVenture Oshkosh organizers describe as the best of the best from hundreds of aircraft entries. Lindy Award judging takes into account how an aircraft looks and also the degree of craftsmanship. Aircraft can only be entered in one category per year and are not eligible for the same or lower tier awards if it has won in the past. The 2018 winners include five Canadian entries, which are bolded below in the categories of Vintage (Classic), Warbird and Seaplane.